To qualify for the performance-based compensation exception under Section 162(m), payment of the compensation must meet several requirements, including that performance goals must be set by the corporation’s “compensation committee.” The Code defines “compensation committee” as the committee of independent directors that has the authority to establish and administer the applicable performance goals, and certify that the performance goals are met. Since the name for the subset of the independent members of the board with responsibility for executive compensation doesn’t matter for deductibility, we wondered whether the compensation committee name implies anything about duties and responsibilities, and whether there are any corporate governance implications regarding the board’s oversight of broader human resources issues beyond executive compensation? To shed some light on the answers to these questions, Pay Governance accessed committee charters with responsibility over executive compensation for all S&P 100 companies as of June 30, 2016. On the assumption that committee charters accurately capture duties and responsibilities, we are able to see what else is included in the compensation committee’s remit, and whether the committee’s name is a hint as to what those responsibilities might include. A. Names of "compensation committees"
Twenty-seven different names are used for board committees with responsibilities over executive compensation. The most common committee name is “Compensation Committee.” Forty-seven companies in the S&P 100 use this name. Of course, that also suggests that the majority of companies call their board committee with responsibility over executive compensation something else. 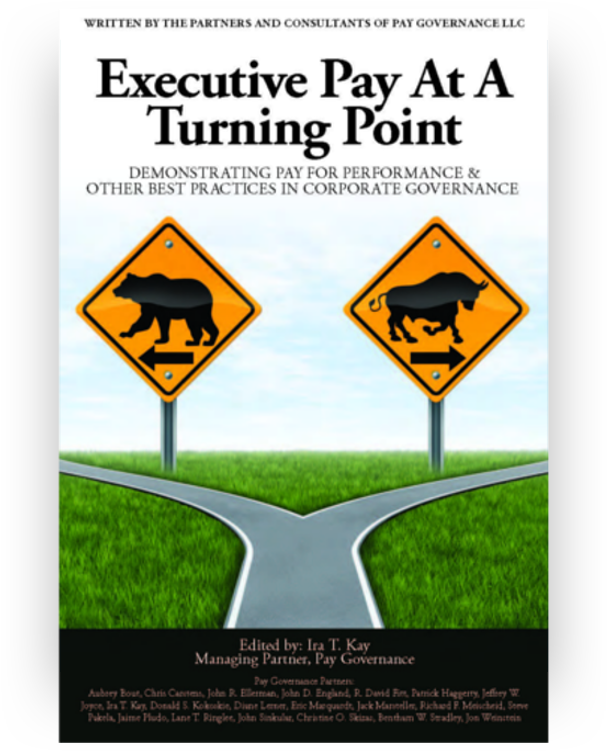 For 17 of the S&P 100, executive compensation responsibilities are where duties begin and end. C. Does the committee name imply anything? 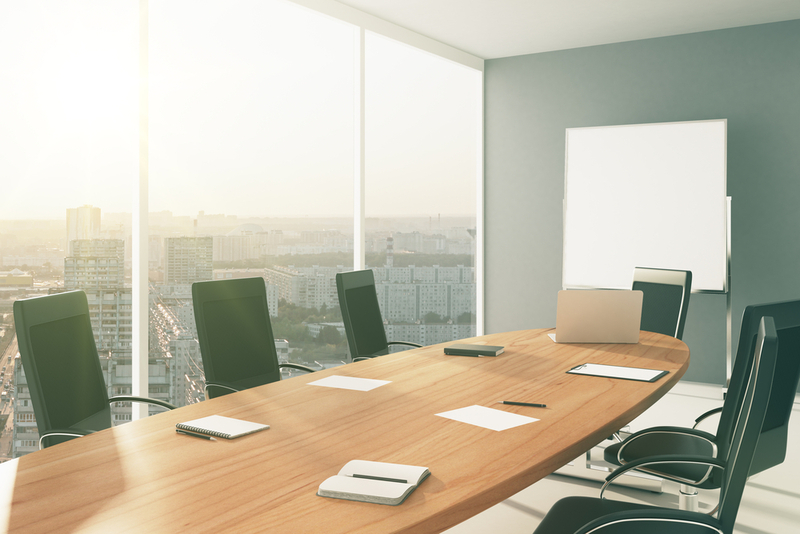 Whether the S&P 100 board committee responsible for executive compensation is called “Compensation Committee” or some broader name generally does have implications regarding its duties and responsibilities. For committees named simply Compensation Committee, the average number of additional responsibilities are 1.4; when director compensation is carved out, the average responsibilities fall to just one other. - However, it should be noted that 3 Compensation Committees could be considered “misnamed”, as they each have 5 or more duties beyond executive compensation. - Two Committees only have executive compensation responsibilities. - Seven of these Committees have just one other responsibility, generally over benefits or director compensation. - Two Committees actually record 9 other responsibilities other than executive compensation. 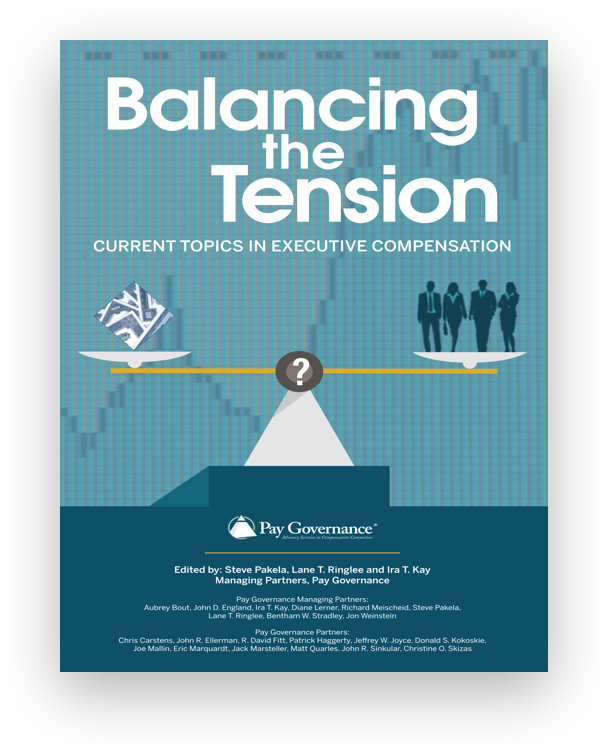 Given the Say on Pay and the external press, advisory firm, and regulatory focus on executive compensation, there’s no question that board committees responsible for executive compensation are a focused and hard-working group. 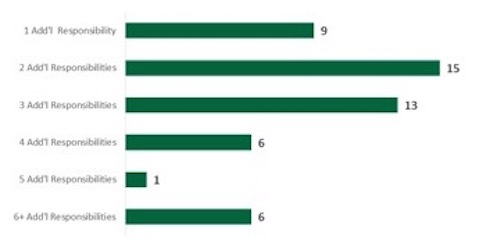 Very much in the public and shareholders’ eyes, some studies have shown that compensation committee chairs are more likely to receive more against votes for board re-election than any other board member simply because they have that board compensation committee role. 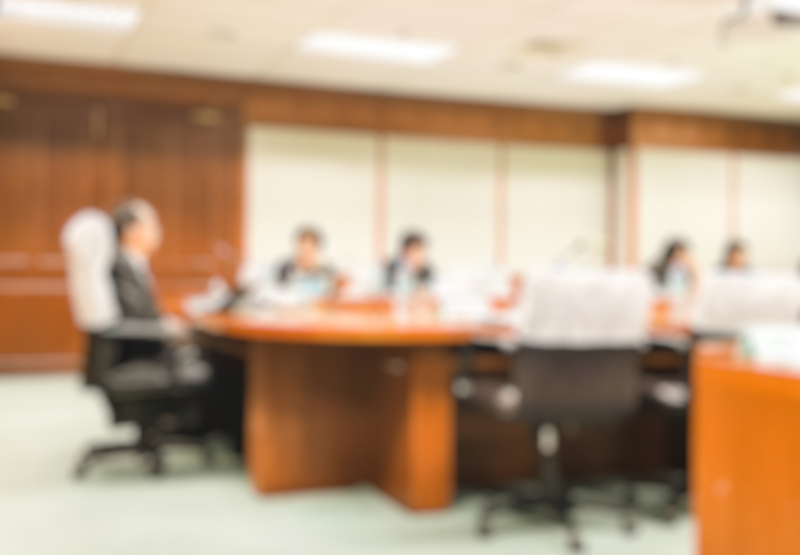 Using the S&P 100 as view into compensation committee duties and responsibilities, though, it is clear that boards have different views on their committees’ oversight roles beyond executive compensation. Take director compensation. We found that 43 of 100 companies lodge director compensation responsibilities with the compensation committee. From experience, we know that this duty more often is lodged with a board nominating or governance committee. Succession planning is another responsibility that can be found elsewhere. While 43 of 100 companies charge the compensation committee with oversight on succession planning, the board nominating and governance committee or sometimes the entire board reserves this responsibility for them. And benefit and retirement plans oversight responsibility can sometimes be found in finance committees of the board. But if it is not listed as a duty and responsibility in the compensation committee charter, what board committee has oversight over diversity and inclusion, EEO, talent development, recruitment and retention, and human resources planning? Based on a random selection of 25 S&P 100 charters for all board committees, the answer appears to be no one. While it’s possible that some committee charters don't fully capture all the issues presented to the compensation committee, by stock exchange rules, duties and responsibilities are required to be included and disclosed. 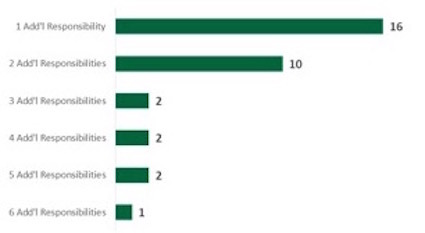 Thus, if, say, diversity and inclusion is not listed as a compensation committee responsibility, more than likely, it is not an issue the board of directors has any oversight over. So whose responsibility is it to be sure the board of directors through one of its committees has oversight responsibility over critical issues? That responsibility is clearly lodged with the nominating and governance committee that approves committee charters on behalf of the board. 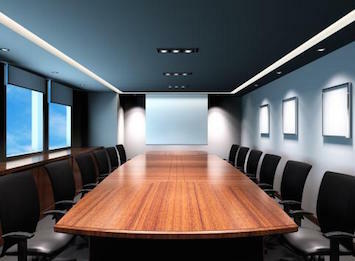 But just as the Chief Financial Officer would be expected to work with the General Counsel to ensure that duties and responsibilities of the Audit, Finance, and Risk Committees are complete, the Chief People Officer needs to take the lead responsibility for ensuring that important human resources programs and initiatives have board level review and sponsorship. Discuss with your CEO and the General Counsel key areas of human resources that are currently not included in the compensation committee charter, and the reasons why board-level oversight should be important to shareholders. Consider the charter responsibilities of peers and best practices companies. With internal support, meet with the lead independent director or the chair of the nominating and governance committee to discuss charter expansion. Meet with the compensation committee chair to discuss charter expansion, as well as the meeting times during the year that the topic would be formally addressed. In addition to expanding the charter, another best practice to keep the entire board of directors updated on human resources issues is to provide a presentation once a year on all the company’s human resources programs reviewed by the compensation committee. After all, not only should the board take comfort regarding the state of various critical programs but, if something ever does go wrong publicly, it’s the entire board that can be impacted by external responses. Regardless of what name the board committee responsible for compensation goes by, each company and committee should take a comprehensive look at its committee charter to determine whether appropriate board responsibility exists on important human resources programs. What’s right for one company is not necessarily right for another. 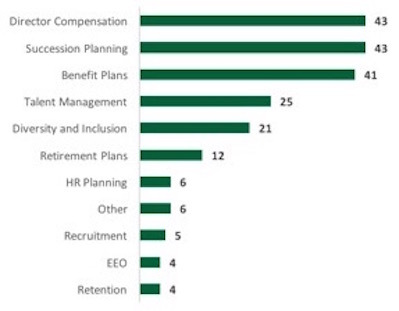 However, with employee costs being among the largest expenses incurred annually, and with reputational risk issues around people programs that can go awry, it may make sense for most companies to consider whether compensation programs for executives are all that the compensation committee should consider in its charter. General questions about this Viewpoint can be directed to John England or Peter England by email at: john.england@paygovernance.com or peter.england@paygovernance.com.